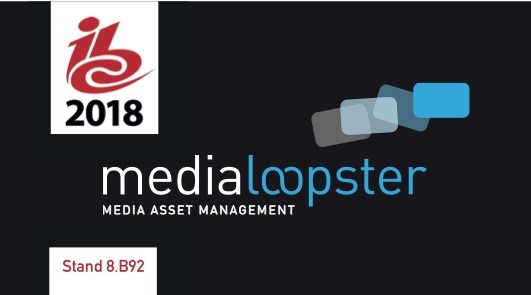 This year, too, medialoopster Media Asset Management will be at IBC, stand 8.B92, where we’ll be presenting a lot of new features and improvements. Here is a brief overview of the workflow topics that we’ll exhibit at the IBC and why you should definitely pay us a visit! With the new XML processor, medialoopster now offers the possibility of using arbitrary XML structures for the import and export of assets and their metadata for the first time. The mapping of the metadata is dynamic and can be defined individually by XSL stylesheets. With this, the metadata exchange with medialoopster itself is entirely in your hands! Together with the workflow and project management tools Helmut FX and Helmut IO from the manufacturer MoovIT, medialoopster can now cover an even wider range of production processes. The medialoopster API makes seamless integration possible. For example, projects from Helmut FX can be created directly as assets in medialoopster and made available to other teams. medialoopster also offers improved functions for distributed, multi-site work. The search functions in medialoopster have also significantly been improved. Thus, for example, the search terms are visually highlighted in the detail view. As a result, the user can register his search hits at a glance. In addition, medialoopster administrators now have much better configuration options to tailor the behaviour of the search engine to the needs of the company and its users. Thus, both the behaviour of the main search field and the weighting of individual metadata fields can now be individually configured in the search. By using AI technologies, medialoopster offers powerful ways to automate your production processes, saving time, money and resources. At IBC 2018, we will present the first integration of an AI service in medialoopster: Speechmatics’ automatic speech recognition. Spoken words are used to generate transcripts and subtitles automatically. However, the integration of further AI services for the internationalisation of content, such as the automatic translation of transcripts and subtitles as well as the generation of voice-over soundtracks, is already in the starting blocks. Would you like to know more? Make an appointment and come to see us. We look forward to meeting you!